Under the deal, Lundin will acquire 100% of Freeport’s interest in the upper zone of the Cukaru Peki deposit and 28% of Freeport’s interest in the lower zone of the deposit, which is situated on one of the four mineral licenses comprising the Timok project. The Serbia Timok project is expected to enhance the Company’s long term copper growth pipeline stated from Lundin. Freeport-McMoRan is selling its stake in the copper and gold Timok project in Serbia to Reservoir Minerals’ affiliate, Canadian Lundin Mining, for as much as $263 million. The largest listed copper miner is the current project operator and holds a 55% interest on it, while Lundin holds the remaining 45%. The company will fund 100% of the upper zone development costs, as well as $20m of agreed lower zone work until a feasibility study is delivered, Lundin said in a statement. Lundin and Freeport will fund 28% and 72% of all other lower zone development costs, respectively. The high grade copper-gold Cukaru Peki deposit is situated on one of the four mineral licenses comprising the Timok project. The project partners are currently Freeport, who is operator of the project, and an affiliate of Reservoir Minerals Inc. (“Reservoir”) which holds a minority stake in the project and has certain transfer rights as a result of the proposed transaction. The Timok project is located in eastern Serbia and is currently centred on the development of the Cukaru Peki deposit located within the Brestovac-Metovnica mineral license. The project contemplates the development of a high grade massive and semi-massive sulphide deposit and conceptually, an underlying deep seated copper-gold porphyry deposit. The Cukaru Peki deposit is located approximately 6 km south of the famous century-old RTB Bor copper-gold mining/smelting complex. 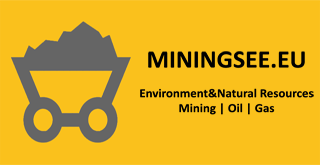 The region has a rich mining history and is complete with the necessary infrastructure and skilled workforce.